Shop Our NEW Webstore Now! Our new store at 2424 Woodruff Farms Road in Columbus, GA has earned Platinum GreenChill Certification for its new state-of-the-art refrigeration system. Some kind words from our loyal customers! Great for Kindergarten teachers! Print pages for coloring contests and bring them into your local store for posting! 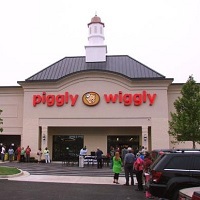 Get you Piggly Wiggly gear!